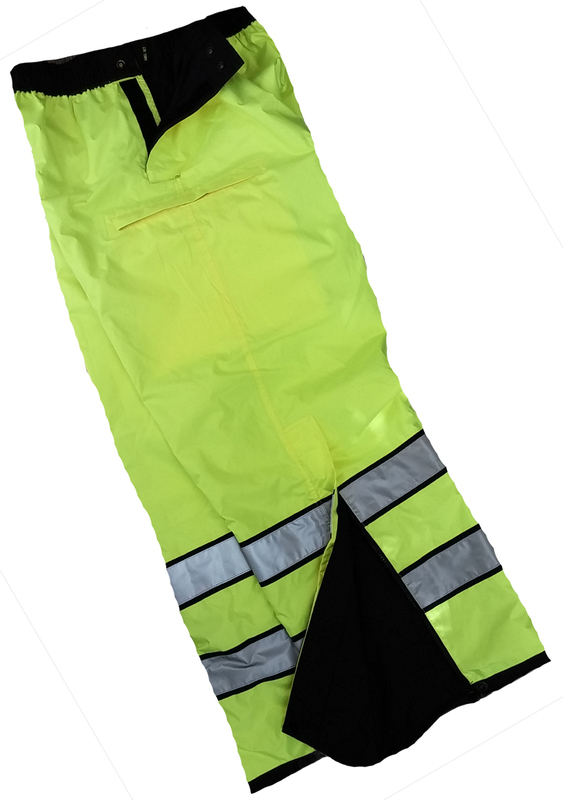 Reversible Waterproof Breathable Windproof Rain Pant. ANSI 107 Ensemble compliant interior. Double Scotchlite reflective stripes with black accent edging. Zipper closure set in cargo pocket on black side of pants on both thighs. Zipper opening at end of pants. Velcro opening at top for access to pants pockets. Elasticized waistband with snap adjustments.